This turf reduction project is very near to me and it needs your help to win the The Intelligent Use of Water™ Awards to fund it. 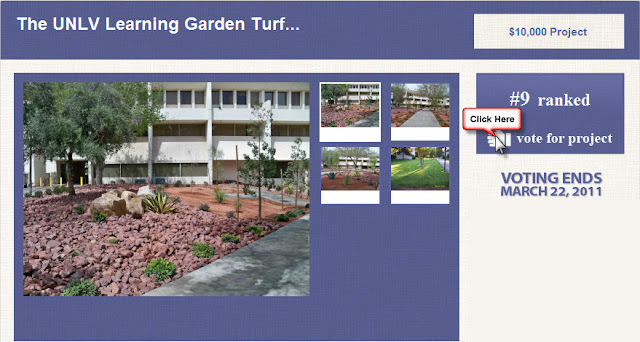 If you have a moment, please click the image above or the following link to vote for The UNLV Learning Garden Turf. You can vote every day until the contest ends March 22. I've also placed a link in the sidebar on the right under my profile pic for easy access. The project is in 9th place but I think there is still hope that our university could win!